Hey Knights! Do you use Instagram? 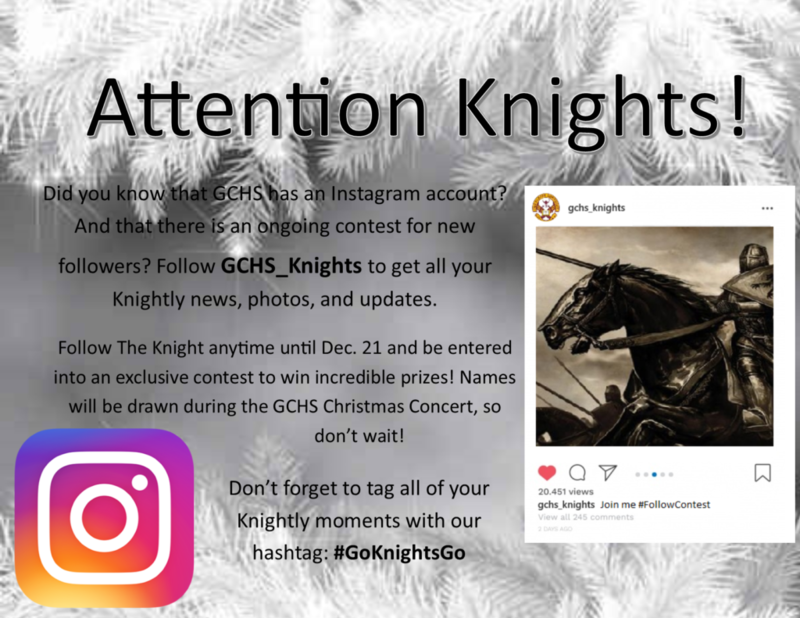 If so, follow GCHS_Knights for Knightly news, photos, and updates. And, if you follow between now and December 21, you’ll be entered into a contest to win some cool prizes!